"In America, you sometimes taze the ones you love." 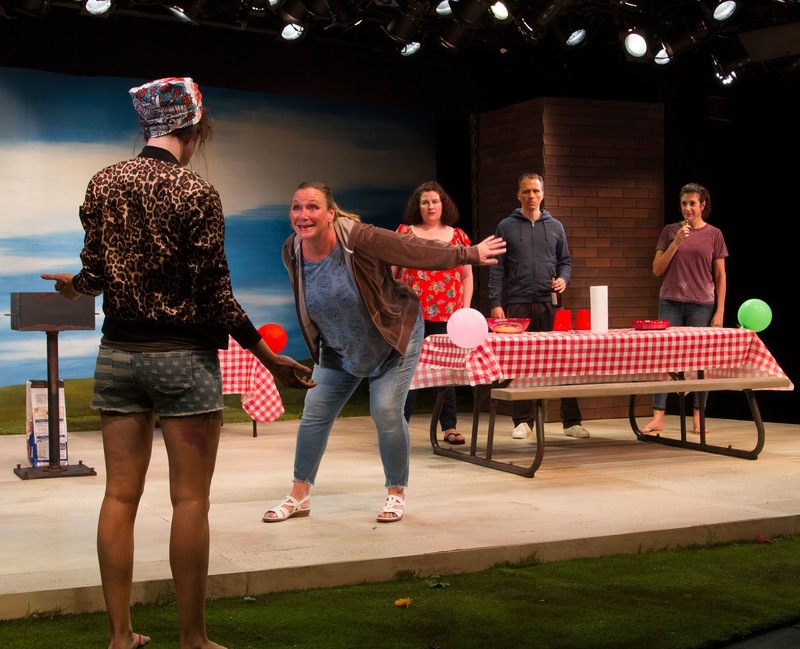 There are few things as all American as a barbecue in the park, dysfunctional families, lying addicts, and dark comedies. Barbecue packs 'em all into a two hour ride that will have your ribs aching. Just when you think you've got it all figured out, the house goes dark, and the game changes. Don't get too comfortable in your seat. Once you're sure you fully grok where this show's going, your grasp on the play's reality is actually hanging by a thread, and ready to snap. I won't give many spoilers to this plot twist laden picnic, as it's better as a full on surprise. I will say it was laugh out loud funny, utterly unpredictable, and a thoroughly entertaining evening. Robert O’Hara's witty script is a delicious blend of deep truths wrapped in lies and an expertly funny exploration into family dynamics, deceptions, fictional memoirs, prejudices, our cultural celebrity fixation, and so much more. The comedic timing, body language and talent of this cast is superb as well. Celeste M. Cooper (Marie) was a particular standout. Even her facial expressions had us in hysterics. We're also enamored with Steppenwolf's newest space, the flexible, 80 seat 1700 stage, and this show fit the intimate space exceptionally well. Don't miss this! 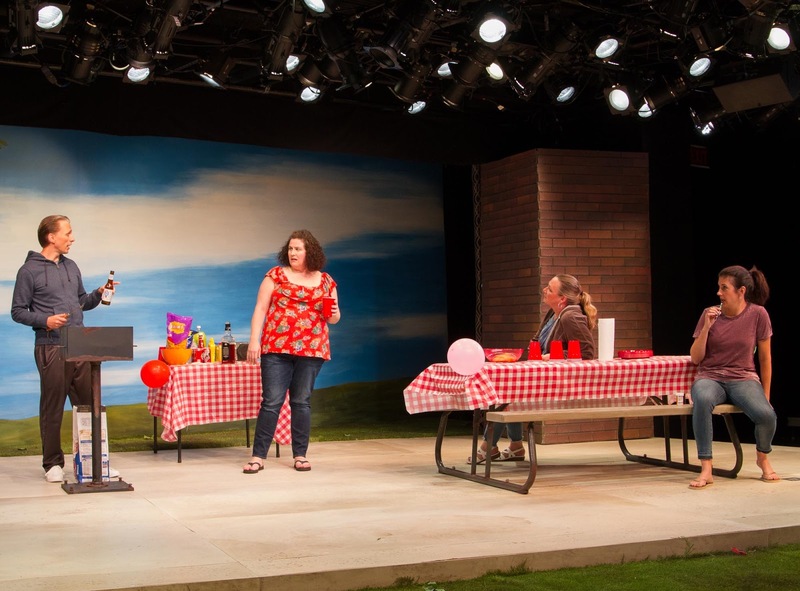 Barbecue by Robert O’Hara runs through September 30, with direction by Damon Kiely at Steppenwolf Theatre Company’s 1700 Theatre, 1700 N. Halsted Street as a LookOut Visiting Company. Click here for ticket specifics, and more in depth show info. What better way to bring summer to a close than with an emotional bomb shell of a BBQ/family intervention?! We're elated that one of our favorite storefront companies, Strawdog Theatre Company, will be playing one of our fav new cabaret spaces, Steppenwolf Theatre Company’s 1700 Theatre. Not to mention, the author is the acclaimed and multi award winning Robert O’Hara. We adored his hilarious play, BootyCandy, that just ran for months at Windy City Playhouse. This one's sure to be hot! The intimate 1700 space fills fast so don't miss out. Regular run performances are Fridays at 8 p.m., Saturdays at 3:30 and 8 p.m. and Sundays at 3:30 p.m. Preview tickets are $35, regular run tickets are $45. Strawdog subscribers enjoy 25% off all ticket prices. This production is also available to Steppenwolf’s Red and Black Card holders. Group, senior, student, industry, and rush discounts are also available. To purchase subscriptions to Strawdog’s 2017-18 Season, visit www.strawdog.org. 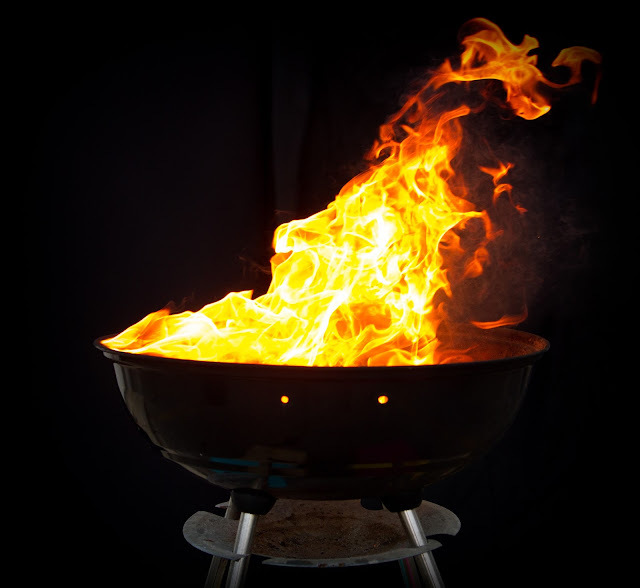 To purchase single tickets to Barbecue, please visit HERE. 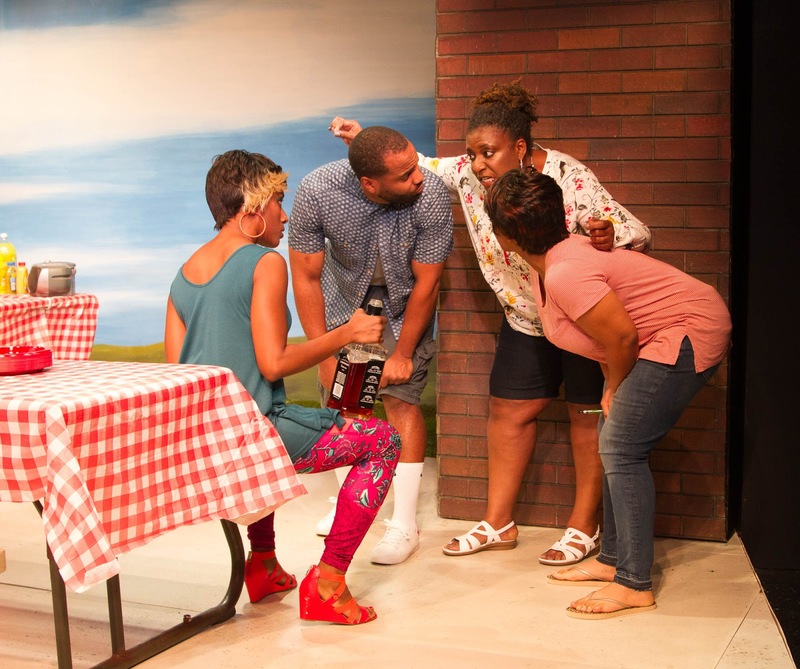 A modern American family uses a summer barbecue as a pretext to ambush sister Barbara with an intervention. If you think “all families are crazy” is just a cliché, you’ve not spent time under the influence of the O'Mallerys. An afternoon in the park with these raucous siblings and you'll be challenging your own assumptions about family, race, and reality. The Chicago premiere of Barbecue by Obie and Helen Hayes Award winner Robert O’Hara will have you laughing out loud and questioning how it’s true that in America, you sometimes taze the ones you love. 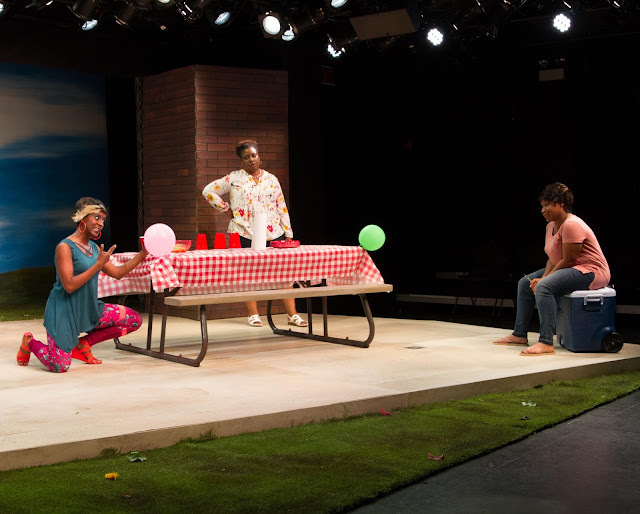 The Barbecue cast includes Strawdog Ensemble Members John Henry Roberts and Kamille Dawkins with guest artists Kristin Collins, Celeste Cooper, Anita Deely, Barbara Figgins, Deanna Reed Foster, Abby Pierce, Terence Simms and Ginneh Thomas. The Barbecue design team includes Strawdog Ensemble Members Costume Designer Aly Greaves Amidei and Sound Designer Heath Hayes with guest artists: Director Damon Kiely, Assistant Director Michael Burke, Set Designer Joanna Iwanicka, Lighting Designer Jared Gooding, Props Designer Leah Hummel and Dramaturg Taylor Barfield. Damon Kiely is chair of Performance at DePaul’s Theatre School and the author of the book How to Read a Play (Routledge) and the plays Thieves Like Us and The Revel. His production of Hank Williams: Lost Highway won the Jeff Award for Best Musical Midsized. He has directed for American Theatre Company, TimeLine, Route 66, A Red Orchid and many others. He lives in Edgewater with his wife Jennifer and their children, Bella and Finn. Robert O’Hara has received the NAACP Best Director Award, the Helen Hayes Award for Outstanding New Play, two OBIEs and the Oppenheimer Award. He directed the world premieres of Nikkole Salter and Dania Guiria’s In the Continuum, Tarell McCraney’s The Brother/Sister Plays (Part 2), Colman Domingo’s Wild with Happy as well as his own plays, BootyCandy and Insurrection: Holding History. His new plays Zombie: The American and Barbecue, world premiered at Woolly Mammoth Theater and New York Shakespeare Festival, respectively. He is currently directing a new musical, Uni/son inspired from the poetry of August Wilson at Oregon Shakespeare Festival and a new musical, Bella by Kirsten Childs at Playwrights Horizons. He will direct the world premiere of his play, Mankind, at Playwrights Horizons this fall. 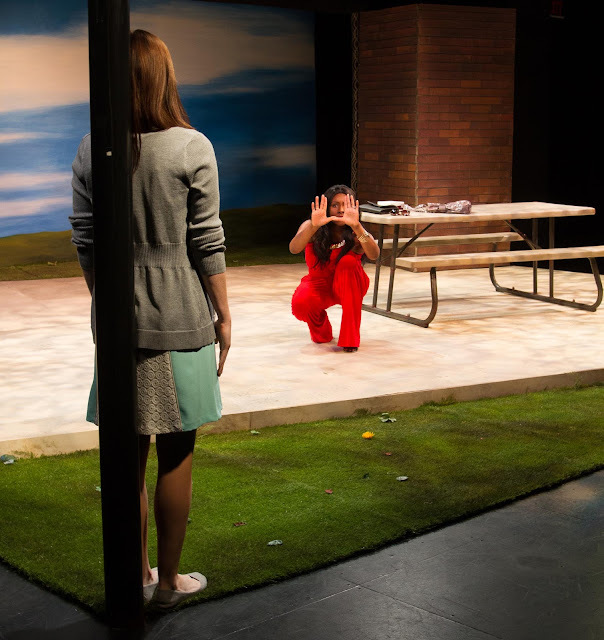 Strawdog Theatre Company is supported in part by The Richard H. Driehaus Foundation, the Gaylord and Dorothy Donnelley Foundation, the Alphawood Foundation, Chicago Department of Cultural Affairs, and the annual support of businesses and individuals.